There is nothing more precious than your health, and setting personal goals can help you maintain your overall wellness. 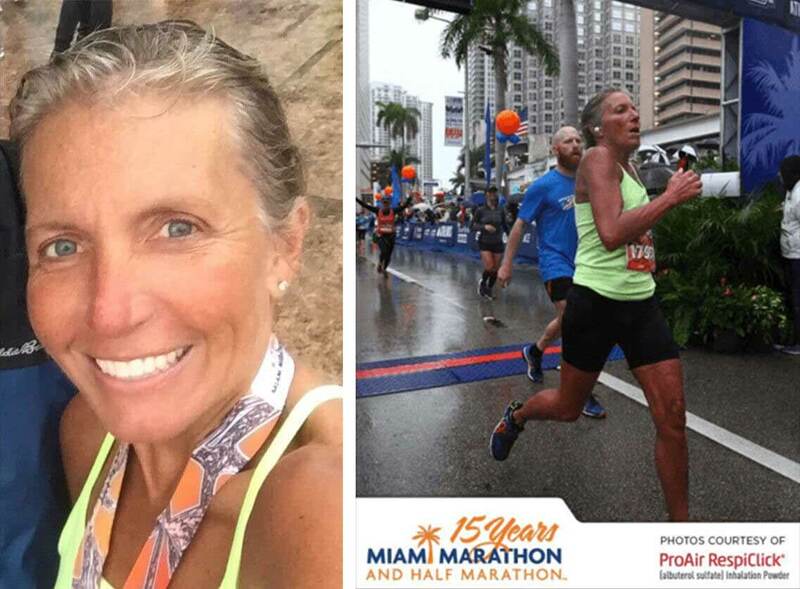 No one knows this better than our own, Lisa Martin Wiedeman O.D., who recently trained for the Miami Marathon and Half Marathon. For months she scheduled practice runs in preparation and finished an impressive 84 out of 610 runners in her age group. The benefits of an active lifestyle and proper, healthful nutrition extends beyond the waistline: exercise, healthy eating habits, and regular visits to the eye doctor will improve ocular health too. Maintaining a healthy weight and stable blood sugar help keep diseases like diabetic retinopathy in check. An added benefit is that exercise is a great way to release stress as well. So, as you see the bitter air transitioning to warm and the buds fighting to break through the harsh winter months–look to the spring as your new opportunity to make healthy choices. If you are not quite up for a half marathon, start slowly with parking farther away from your destination or going for a leisurely stroll to get your body moving again. Congratulations to Dr. Wiedeman for reaching her goal and putting her healthy recommendations into practice!